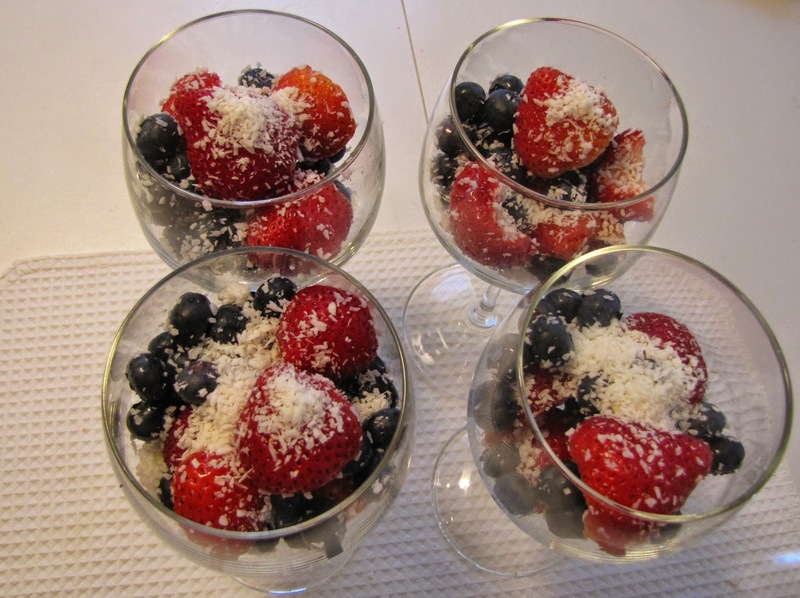 Prepare a colorful strawberry, blueberry, and coconut dessert to celebrate Independence Day or any day you want a healthful treat. You're sure to see smiles on the faces of family and guests as you look round your dinner or picnic table, if you serve it. This three ingredient recipe is a snap to assemble. Just follow the steps below. 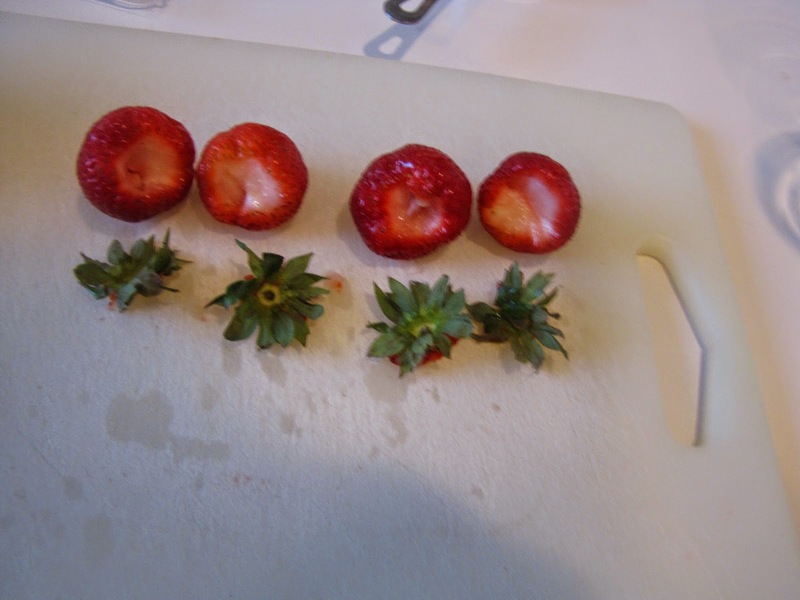 Read what Molly Watson @ http://about.com says about washing and hulling strawberries. 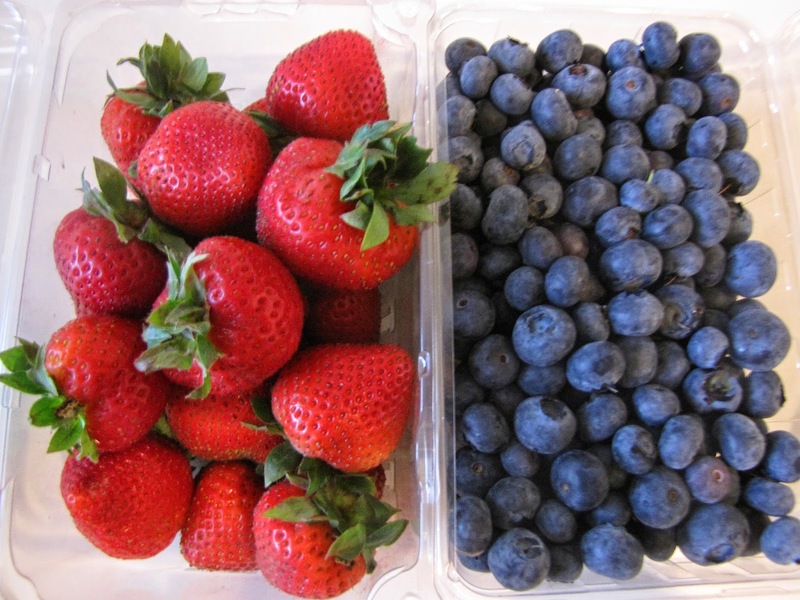 Strawberries and blueberries contain many healthful elements. They are high in vitamin C and phytonutrients and have no cholesterol. 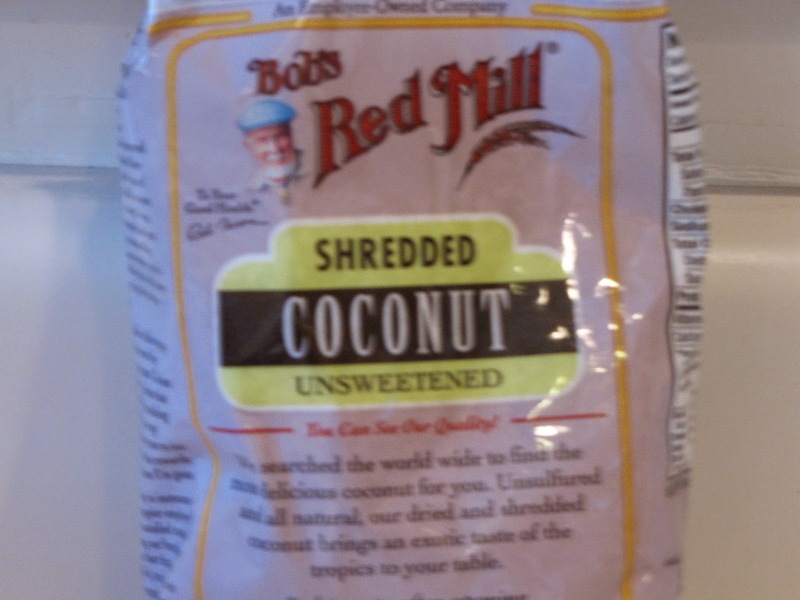 The shredded coconut provides fiber, iron, and healthy fat that satisfies and staves off hunger. Serve this color rich dessert to celebrate our nation’s birthday on July 4th or on any day you want to have fun topping off your meal with a red, white, and blue dessert. Before you go, please ask yourself how often you serve summer berries, those you find at a farmer's market, pick in a home garden, or purchase at a local shop. Produce loses nutrients the longer you keep it, so please serve within a day or two of purchase. 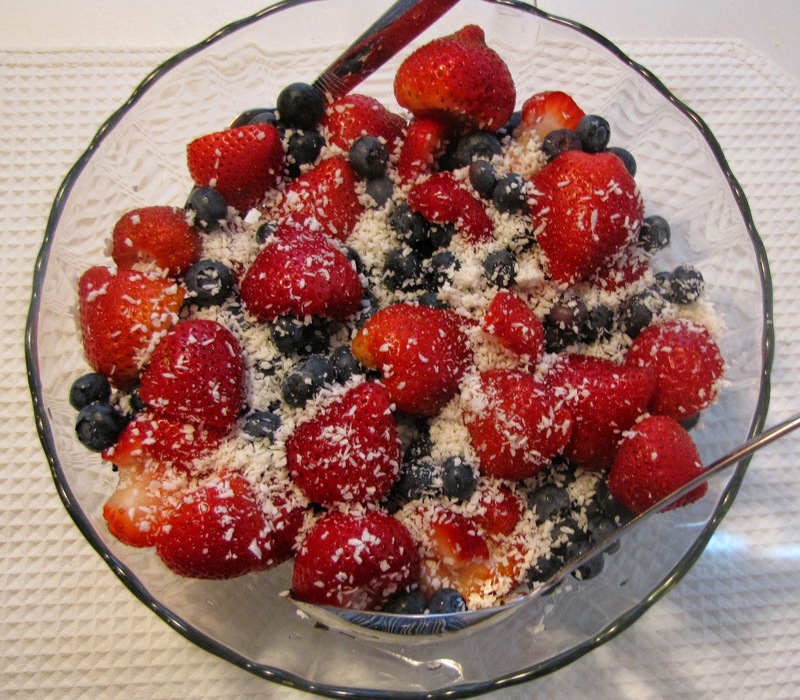 What are your favorite ways to serve strawberries and blueberries? 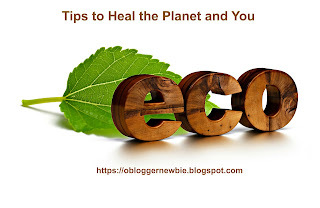 Please share about that by leaving a comment on this blog. 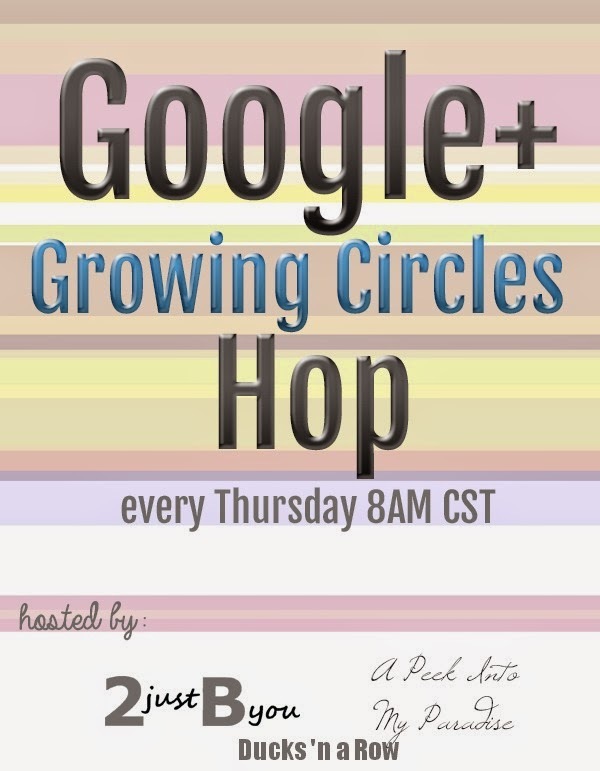 I'd love to learn about your favorite recipes and concerns.